THE MAYBELLINE STORY : The Maybelline Story heads to Santa Barbara Calif! The Maybelline Story heads to Santa Barbara Calif! Back in Santa Barbara where I met with some of my Maybelline Cousins to delve into the lost Maybelline File that's finally been returned to the Noel Williams branch of the family after 80 years. 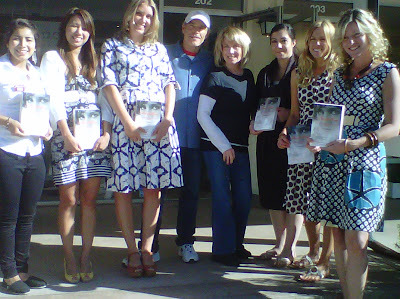 Chuck and Sharrie in the middle with some of the girls from Montecito Village. But not before stopping off in beautiful Montecito for a book signing with some of my cousin Chuck Williams girlfriend's who work in the village. If you've been following my blog you know Chuck as the CAR GUY with a 1974 Alfa Romeo Spider, 1975 Rolls Royce LWB and a Factory Five Mk 111 Roadster Cobra. If you'd like to say hi to Chuck, drop by Jeaninne's coffee shop in Montecito any day and hear about his latest adventures with Mike Love, Al Jardine, Bruce Johnston and the rest of the Beach Boys or meet the other CAR GUY'S in THE MONTOYS - Chuck's car club and get the facts about what is cool what is hot and what is not. Mike Love's son Christian and Chuck at the Ronald W. Reagan Presidential Library, Beach Boy Concert. Al Jardine, Bruce Johnston, John Stamos and Mike Love. 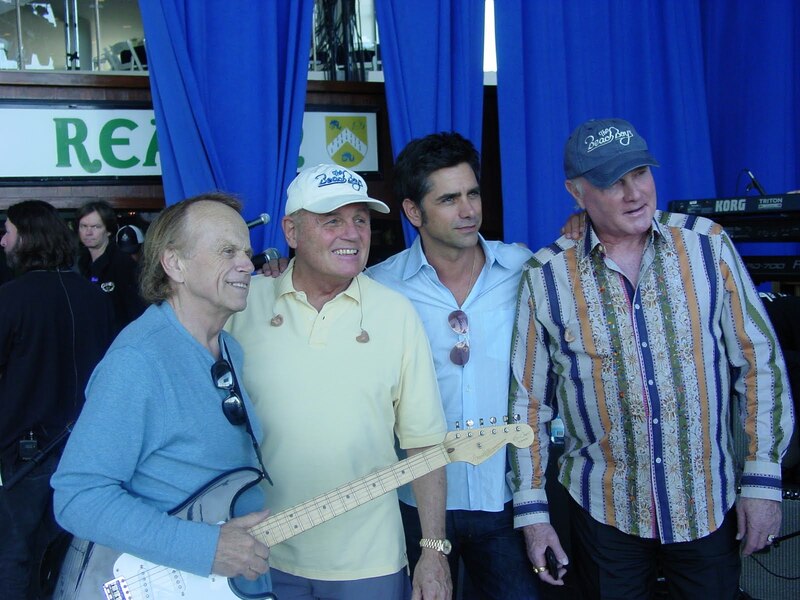 In Front of Air Force One, Bruce Johnston, Chuck Williams, Al Jardine, Mike Love. ﻿ Check out Chuck Williams, aka BB1 or as Mike Love calls him "The number one Beach Boy Fan wearing his official Beach Boy jacket given to him by Mike Love for his 60TH Birthday on youtube, just click below. Look for Chuck in the second video right after Help Me Rhonda and at the beginning of Fun Fun Fun! 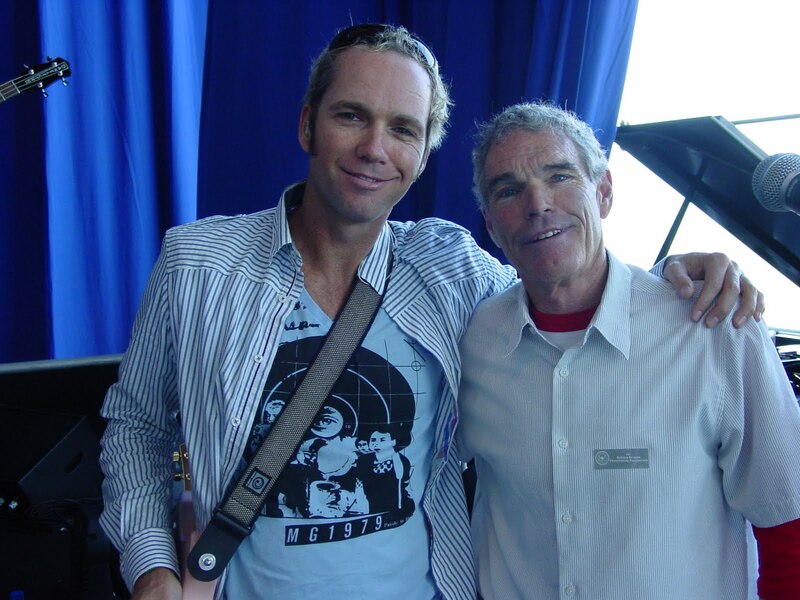 You can't miss him thumbs up to Mike Love on stage in his BB1 jacket!! The Cos Bar of Montecito opened February 2010. This is President and Owner, Lily Garfield’s 12th family owned, high-end, luxury, boutique-style retail shop located on the beautiful Coast Village Road, next to Jeannine's Bakery. The store manager is Kate Quintana ask her how she liked The Maybelline Story as well as the rest of the cute make-up artists working there. If you want to see designer clothes stop at Susan Pitcher's Dressed or Ready for up to the minute high fashion right off the runways of New York, Paris and Montecito of course. Be sure to ask for Mallory or any of the girls and get their take on The Maybelline Story. PS; Check to see if Chuck aka BB1 is holding court at his table at Jeannine's.